I bet you're wondering how this pendant got its name without there being any diamonds in it. 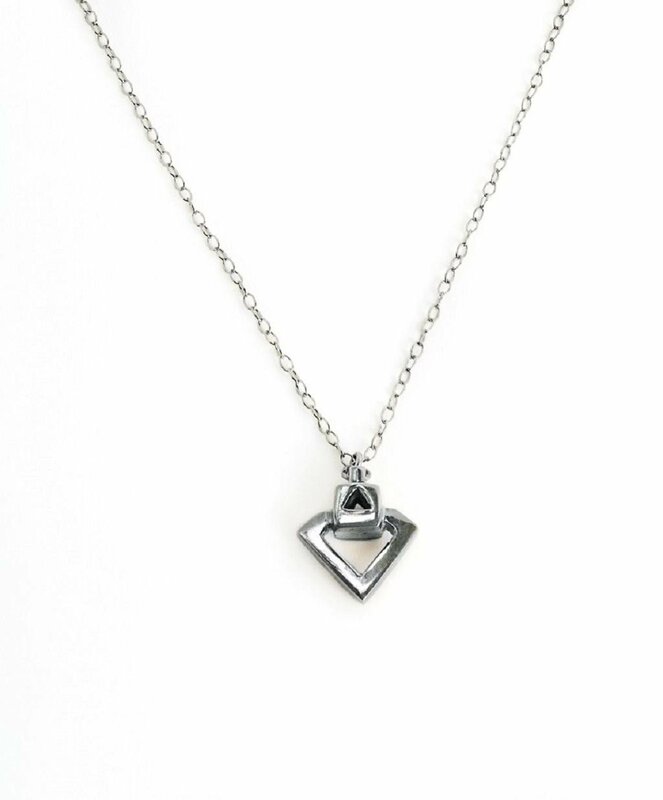 Well, if you put the main cut-out and the triangle cut within the cube of the pendant, they form the shape of a diamond. This goes to show that, sometimes, things aren't so obvious. Take a step back from whats right in front of you, and you never know, there might just be a diamond starting straight back at you.